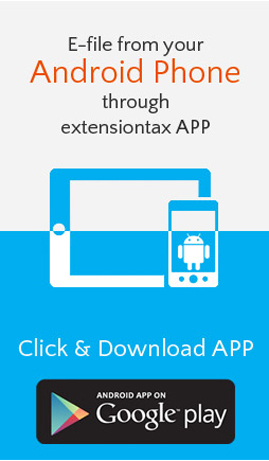 ExtensionTax.com – One Website for all your Extension Filings!! Filing for an Extension means legally postponing your tax Deadline to a future date. E-Filing for an Extension is nothing but keeping the IRS informed that you will file your Tax returns after a while. 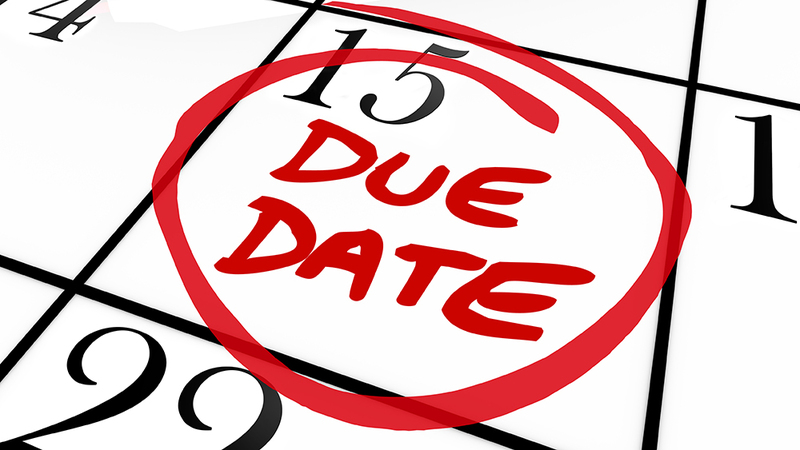 You may have more than enough money to pay off your Taxes but, you may not have the required paper works ready by the Due date. 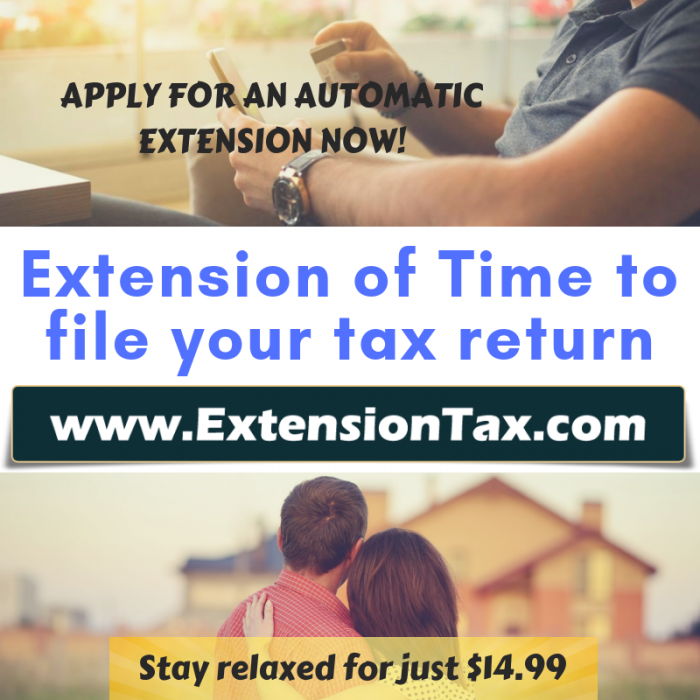 Extensions are more likely to be a gift given to tax payers by the IRS and the best way to file for it is through ExtensionTax.com. 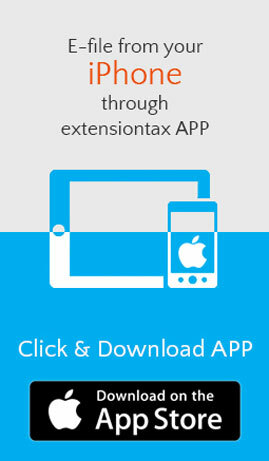 www.ExtensionTax.com is an IRS authorized E-file service provider that supports E-filing for Extensions Online. Millions of taxpayers are benefited by this user friendly, hassle free application by E-filing their Tax extensions. The online portal has been designed in such a way that complex tax jargon s are broken into simple understandable words, which makes it easier for a common man to file for an Extension. 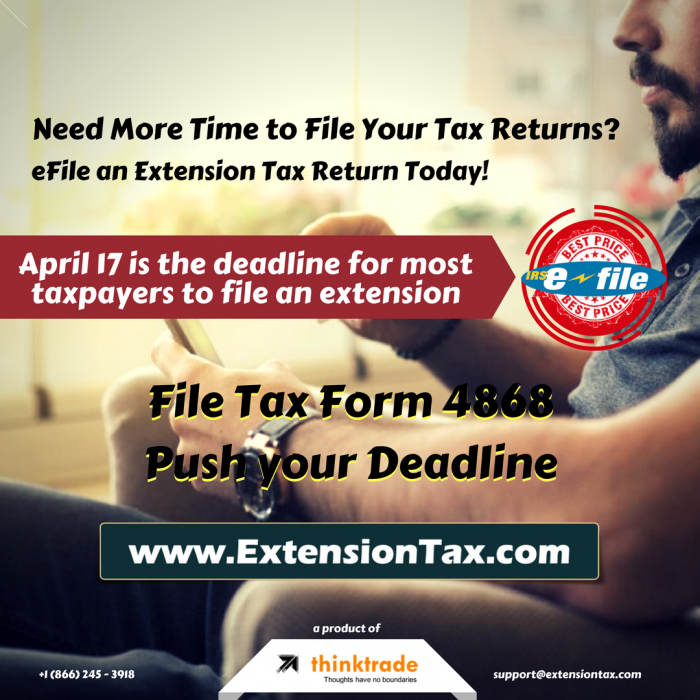 This entry was posted in Efile 7004, Efile an Extension tax, efile form 8868, efiling Efile 4868, Extension form, Form 4868, Form 4868 efile, Form 7004, Form 8868, IRS Extension, Online Extension, Tax Extension and tagged April 15, Authorized Efile Service Provider, Business Income Tax, Easy Extension, Efile 2350, Efile 4868, Efile 7004, Efile 8868, Efile Extension, Efile for an Extension, express extension, Extend your Deadline, Extension of Time, Federal Income Tax Extension, File Later, File Taxes later, Form 2350, Form 4868, Form 7004, Form 8868, Income tax Extension, IRS Extension, March 15, May 15, Online Extension, Pay Later, Personal Income tax, Six months Extension, Tax Return Preparers on March 4, 2019 by TaxExpert. 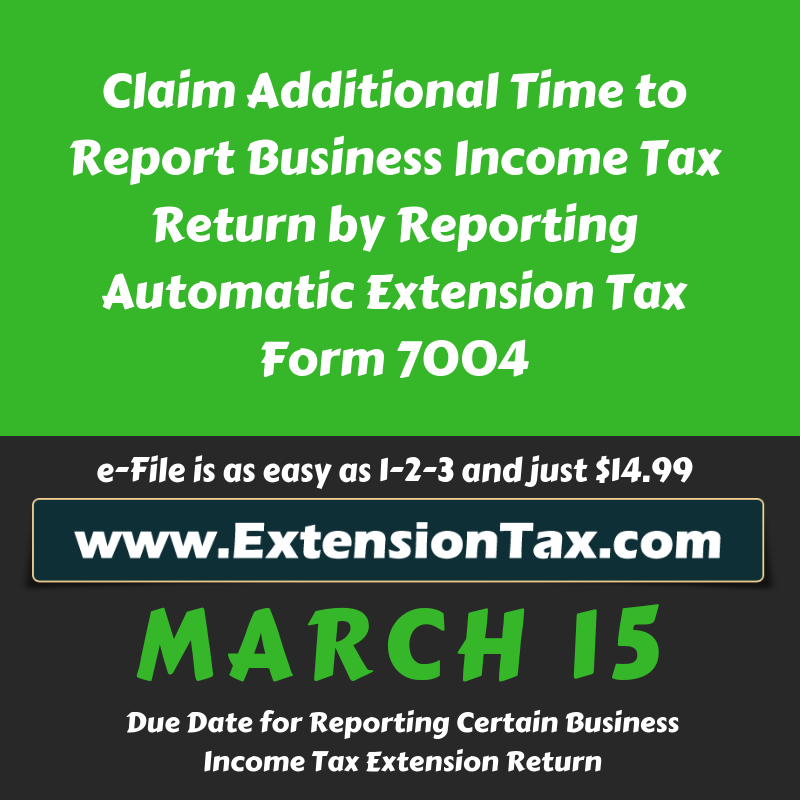 Deadline to file your Business Income Tax can be extended! This entry was posted in Efile 7004, Efile an Extension tax, Efile Extension, efiling Corporate Tax Extension, efiling Easy Extension, Extension form, Extension Tax, Form 7004, IRS Extension, Online Extension, Tax Extension, Tax Return Preparers and tagged Authorized Efile Service Provider, Business Income Tax, Easy Extension, Efile 2350, Efile 4868, Efile 7004, Efile 8868, Efile Extension, Efile for an Extension, express extension, Extend your Deadline, Extension of Time, Federal Income Tax Extension, File Later, File Taxes later, Form 2350, Form 4868, Form 7004, Form 8868, Income tax Extension, IRS Extension, March 15, Online Extension, Pay Later, Personal Income tax, Six months Extension, Tax Return Preparers on February 21, 2019 by TaxExpert. 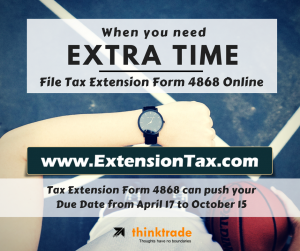 Non-Profit Organization Tax Extension, Form 8868: Deadline Alert! This entry was posted in Efile 7004, Efile an Extension tax, Efile Extension, efile extension form, efile form 8868, efile income tax extension, efiling, efiling Corporate Tax Extension, efiling Easy Extension, efiling Efile 4868, exempt Organisation, Extension form, Extension Tax, Extensiontax, Fast and easy return, file extension online, Form 4868, Form 4868 efile, Form 7004, Form 8868, Form 990, Form 990-T, Get instant Extension, Instant Approval, IRS, IRS Extension, Online Extension, Tax Extension, Tax Return Preparers and tagged Authorized Efile Service Provider, Business Income Tax, Easy Extension, Efile 2350, Efile 4868, Efile 7004, Efile 8868, Efile Extension, Efile for an Extension, express extension, Extend your Deadline, Extension of Time, Federal Income Tax Extension, File Later, File Taxes later, Form 2350, Form 4868, Form 7004, Form 8868, Income tax Extension, IRS Extension, Online Extension, Pay Later, Personal Income tax, Six months Extension, Tax Return Preparers on May 15, 2018 by TaxExpert.